A women's youth event was commenced in 1988 in coxed fours. The event became an eight oared event in 1994 due the continued growth in women's rowing and the need to provide more opportunities for these athletes. 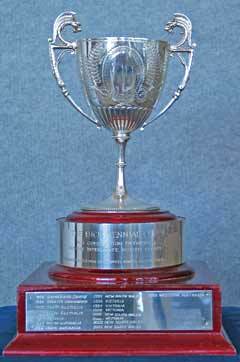 The Cup was presented by the New South Wales Rowing Association and has the following words engraved on the Cup: For competition between Women's Interstate Women's Fours.